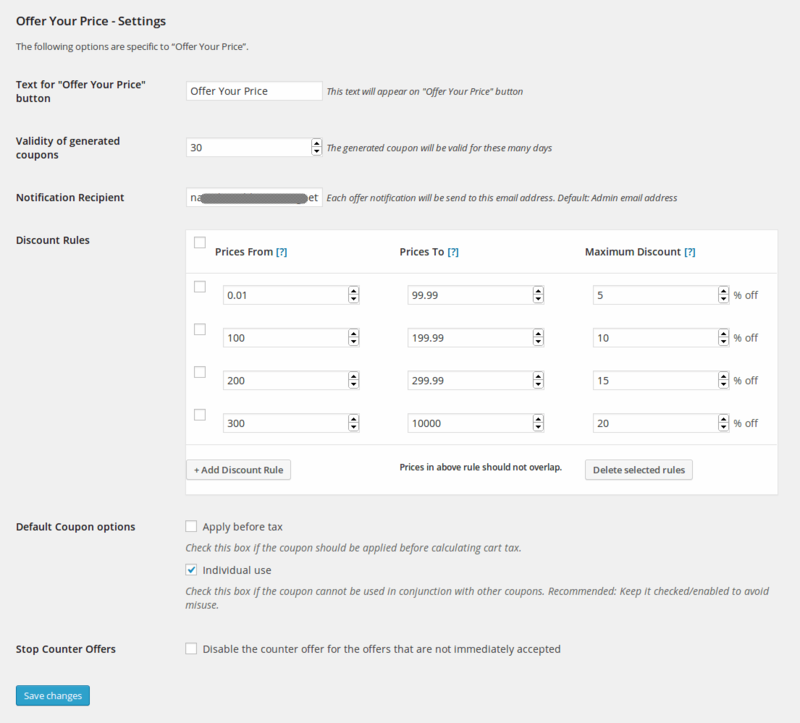 Go to WooCommerce -> Settings -> Products -> Offer Your Price – Settings. You can set Text for “Offer Your Price” button, Validity of generated coupons, Notification Recipient, Discount Rules, Default Coupon options and Stop Counter Offers from here. You may add as many price ranges and their maximum discount percentages as you want. Just make sure that price ranges do not overlap. E.g. enter 0-99.99 and 100-199.99 – and not 0-100 and 100-200.